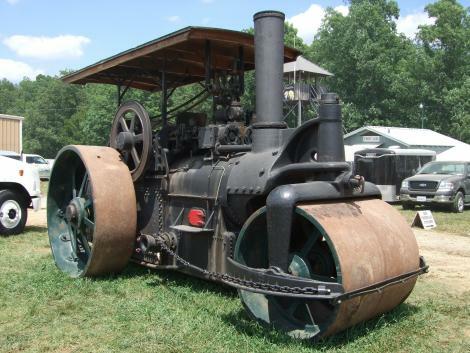 I still use the term "steamroller" today, although technically steam has nothing to do with it. I'm not even sure what the correct term is for the current version of this machine. I saw one of these steam babies working when I was in Germany 1950. It was awesome!! An incident occurred which sticks in my memory of a young boy running in front of the steam roller and the operator yelling at him in German to stay away. We were Americans with our fathers who were stationed in Germany after the war and re-construction was everywhere. I don't know if the boy understood German but he did keep away after the warning!